The Christmas House was built in 1893 by Emily Baker, Robert H. Baker's widow who was one of the “Big Four” original partners of J.I.Case Company which is now known as Case New Holland. Robert H Baker was mayor of Racine in 1874. Emily only lived there a year before passing away. The house was then acquired by Alexander J. Horlick of Horlick Malted Milk Company in 1905 and lived their until his death in 1950. Horace Benstead Sr. purchased the home in 1950 and named the house Benstead Hall after his Mother, Henrietta Benstead. He then donated the home to St. Lukes Hospital for the nursing school program. It ran as the women’s dorm for the St. Luke's School of Nursing for 35 years. The Christmas House received its name in 1987 when it became host to the annual Christmas House for Cancer Benefit that was held annually from 1987 - 1995. 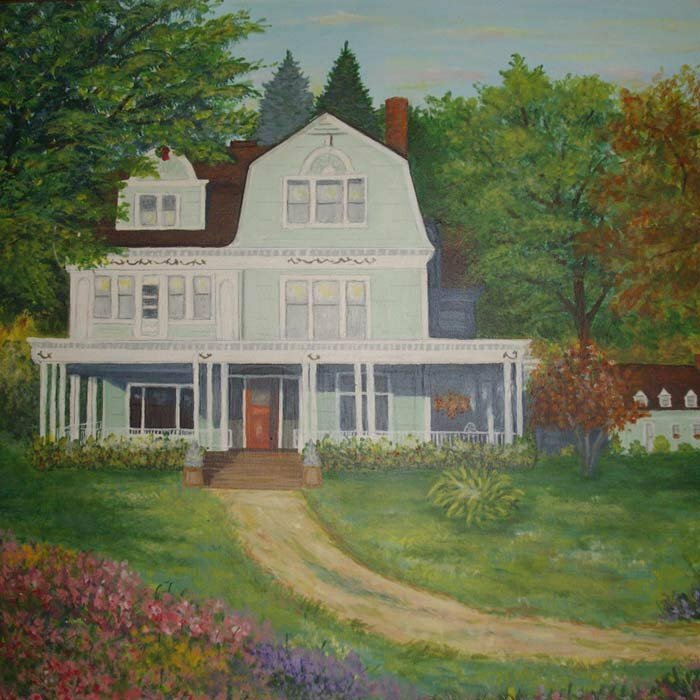 Today it is a beautiful bed and breakfast and great venue for your next family gathering, fundraiser or corporate event. Stepping into our house is like receiving a warm hug. You will let the stress of life fall away and enjoy yourself in the great attractions and activities that fill Racine County and our Downtown Racine. This house was built in the Colonial Revival Style but has the irregular plan of the Queen Anne Style. The building incorporates such classical details as a Palladian window in the gambrel roof, dentils at the eave and cornice line and interrupted shell motifs above the dormers. On the porch you will see groupings of classical columns and garland ornaments along the frieze. The front door is surrounded by an elliptical fanlight and sidelights of leaded glass. There is lovely parquet flooring throughout the house and a lovely Cherrywood coffered ceiling in the library. . The house has been styled to reflect the innkeeper, Pamela Deskins and her passion for everything old and unique. The décor often changes with the seasons of the year or Pamela's new finds from treasure hunting! This beautiful estate now hosts a Bed and Breakfast that features warm hospitality, four elegant suites, private baths, meeting/event space and a delicious breakfast. 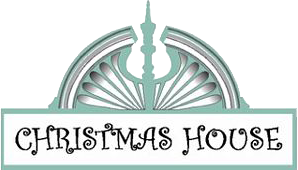 Whether it is a relaxing stay or fun out on the town you are seeking, the Christmas House has it. The main floor can accommodate small events such as weddings, parties, showers and small receptions. Also located on the property, the original Carriage House, is now a three bedroom, two bath vacation home. It is fully furnished and can be used for a longer term rental. It has central air, cable and WIFI. The Carriage House has a wonderful view of the gardens and also has a private balcony and lake views. Because this property is separate from the Christmas House, it gives the guest a more private experience.